Ben Affleck continues to reinvent himself quite successfully with the engaging action-thriller The Town, his second outing as director following his debut with Gone Baby Gone three years ago. Sticking with what works for him, Affleck returns to Boston-set crime dramas, and his abilities behind the camera prove that within this particular sub-genre he can compete with the best in the biz, including Michael Mann and Martin Scorsese. The mere fact that he bests Mann’s recent Public Enemies and Ridley Scott’s American Gangster by a wide margin tells us we’ve got a new player in town. No pun intended. 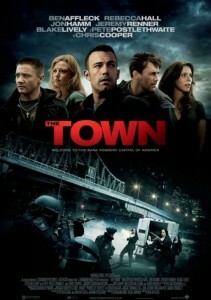 The Town tells the story of a band of thieves led by Doug McCray (Affleck). The film opens with McCray and his three cohorts entering a bank under the veil of ghoulish skeletal masks and dark cloaks and armed with automatic weapons, escaping with the bank’s entire loot in a matter of minutes. Upon their exit, James (Jeremy Renner), the reckless one of the bunch, decides to grab a bank teller, Claire (Rebecca Hall), as a hostage. Blindfolded throughout her capture, she is eventually released and left unharmed. The guys become worried that she might leak incriminating information to the feds, so Doug takes it upon himself to follow her. She approaches him in a laundromat where they strike up conversation, and Doug (having taken an interest in her) decides to cross a dangerous line in asking her out for a drink. Eventually, their casual friendship turns into something serious, and Doug is forced to hide his criminal life from her as he continues to participate in further high-risk heists. These heists are orchestrated by a dangerous Irishman, Fergus (Pete Postlethwaite), the same operator that resulted in Doug’s father’s incarceration. In fact, Doug has essentially been enslaved into his line of work as a professional thief. I was never exactly sympathetic for him in his position, because despite his protective feelings for Claire, his loyalty to his family, and his longing to know of his disappeared mother, Doug never frowns upon stealing. He is leery of James and his violent tendencies, not because someone may end up getting hurt, but that he may end up paying for James’ mistakes. I can’t say this complaint in any way pulled me out of the tension of the film. Throughout two gripping hours of excitement, Affleck had me on the edge of my seat. In much the same way, Gone Baby Gone had me conflicted regarding its moral position, however, I still found it to be 2007’s best and most overlooked film. The Town proves Affleck knows what he’s doing, and perhaps purposefully chooses to push audiences into debate. If Christopher Nolan can cause us to debate about the nature of reality, why can’t Affleck cause debate over moral issues? I feel like I’m leaping the track here, so as for how well put-together The Town is, let me just say an action-crime picture hasn’t been this well-done since Heat. Sure, The Departed is a better film, but it didn’t have rousing shootouts like Affleck conjures up. Not only are they well-done, but they also have purpose. The film itself becomes so engrossing from the opening scene, that what follows only adds to the suspense. I cared about Doug McCray, even if I realized I didn’t quite agree with his position. I felt for Claire, the hostage who unknowingly enters into a relationship with a man who quietly understand her trauma (for obvious reasons). Even the character of James, compelled to one-up any sort of opposition resulting in a penchant for violence is desperate for Doug’s loyalty, and longs for a semblance of a family. 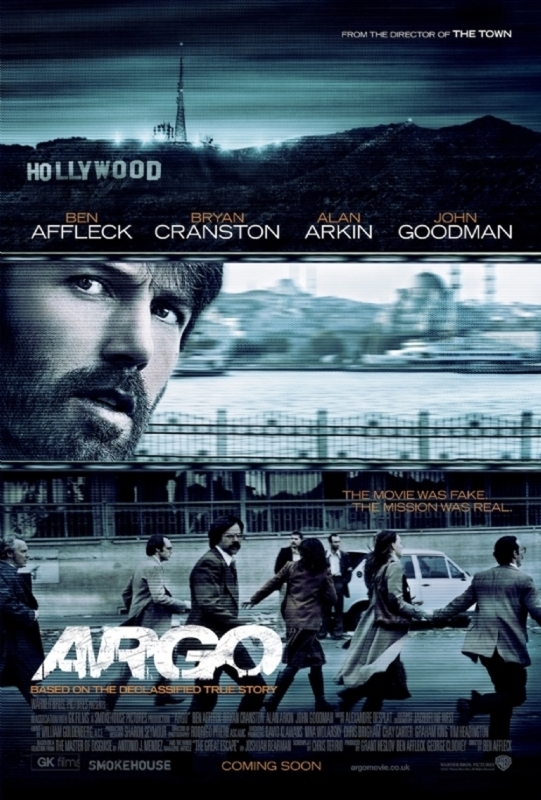 The actors are extraordinary here, playing versions of characters we’ve seen in many crime-thrillers, but they pull it off remarkably well, and add authentic touches in their performances—most notably Affleck, himself, and Jeremy Renner (fresh off his Oscar nomination for The Hurt Locker). We are even presented with the determined FBI detective, Adam Frawley (Jon Hamm) tracking McCray’s clan, desperate for useful evidence against a party he already knows to be guilty. 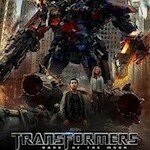 Every one of the performances feels spot-on, as does the authenticity of the film. I was so impressed with how believable The Town is executed. From the robberies, to the chases, throughout the FBI investigation, and Affleck’s presentation of his hometown, I never felt as though the film became overblown, even through certain contrivances of the story and the enormity of the action sequences. Looking back on the film, I realize the entire romantic relationship between Claire and Doug only serves to construct a movie plot, but I still remain so impressed with Affleck’s film. In many ways it is both wholly original, and yet completely unoriginal, with direct comparisons made available to the aforementioned Heat. Affleck’s presentation of the material sidesteps all comparisons that could be made, as it truly feels fresh and exciting, and is the best action film in quite some time. Look for The Town to be a front-runner for award attention this year, and certainly don’t miss it.